LeBron James of the Cavaliers is showered with water by JR Smith while being interviewed after a 98-95 win over the Pacers on Wednesday in Cleveland. 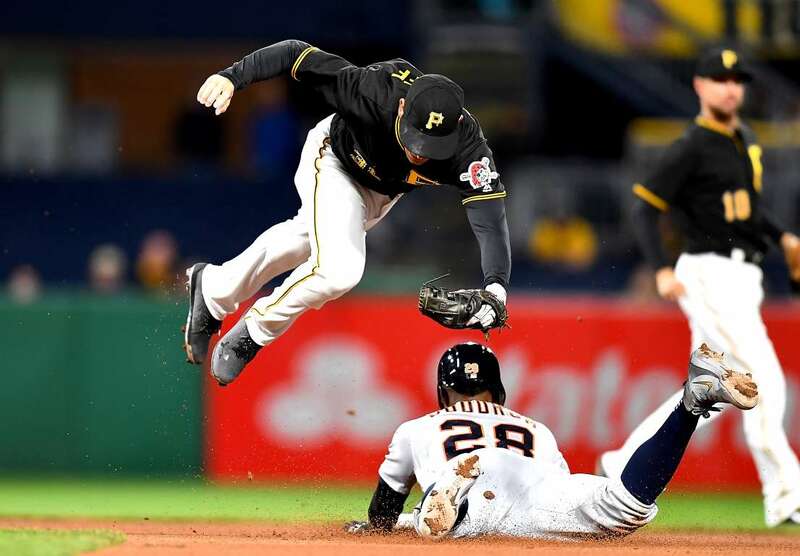 Niko Goodrum (28) of the Tigers safely steals second base as Max Moroff of the Pirates misses the throw on Wednesday in Pittsburgh. The Tigers won 13-10.